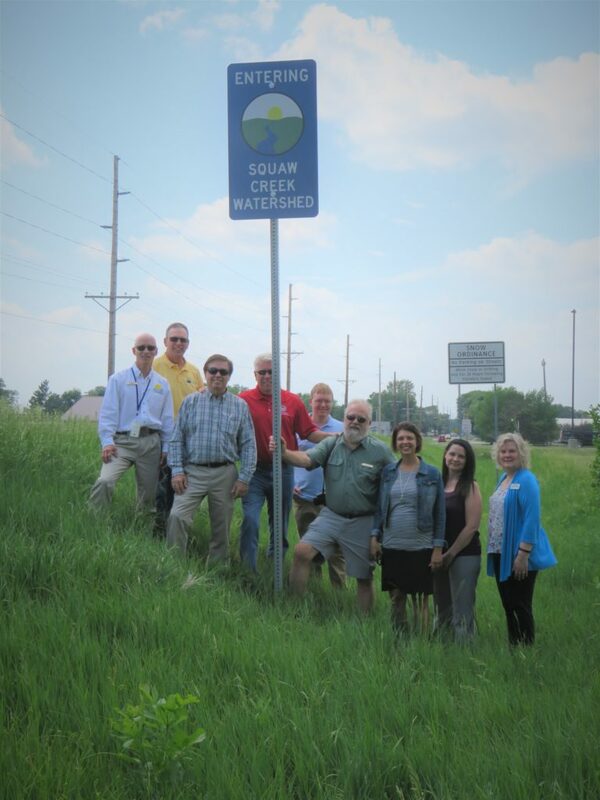 Story County roads now have 50 signs marking the boundaries between watersheds. Another 105 signs label creeks at bridges. As you drive around Story County, we hope you will have a renewed appreciation for its many creeks and rivers. We hope the watershed signs will help make visible the subtle divides between watersheds and get people thinking about the connections between land stewardship and water quality. We also hope to replicate this project in other counties. Pictured here are representatives from the organizations that made this project possible: the Story County Board of Supervisors, Story County Conservation, the Story County Community Foundation, and the Story County Soil & Water Conservation District. Watch the video from the June 6 press conference to hear from these organizations and learn more about the project. Similar efforts around the state have helped to draw attention to our water resources and spur interest from landowners in conservation practices, but Story County’s effort is perhaps unprecedented in scale, and one of only a few projects to mark watershed boundaries in addition to creek crossings. You can find the locations of all the signs to be installed for this project at this interactive web map. Want to know what watersheds you live in? Enter a street address in the search bar and then click on the map to bring up the complete “watershed address” for any point in Iowa using our Watershed Locator Map.